Tap your inner child and head to camp this summer to try kayaking, kite-making, glassblowing, backcountry hiking, and tubing down the Battenkill River, among other adventures. The Kimpton Taconic hotel in Manchester, Vt., launches its new adults-only summer camp, complete with trumpet bugle wake-up calls, lights-out warnings, and campfire sing-alongs. Camp Taconic runs June 23-26 and Aug. 25-28, and includes camp T-shirts and smores (with scotch now that you’re old enough). Escape to secret swimming holes, go on a photo expedition with a local photographer, and take alfresco barbecue lessons with chef Adam Raftery, a Vermont native. Cost: $1,400 per person, or $2,100 per couple, including three night’s accommodations, and all meals and activities for eight to 16 participants each session. 800-546-7866, www.taconichotel.com. Gain inspiration about two-wheeled adventures at this year’s Ciclismo Classico Bike Travel Film Festival, being held at three independent theaters in New England. See cyclists who quit their corporate jobs to ride across the United States; get an inside view of cycling culture in Havana, Cuba; and follow bikers as they journey from Kazbegi National Park in Georgia’s Caucasas Mountains to a quiet campsite just a commuter train ride from Berlin. Catch the film fest at the Regent Theatre in Arlington June 1, the Firehouse Center for the Arts in Newburyport June 2, and Danbury Palace in Danbury, Conn., on June 17. The Arlington event also features live music from Slow Boat Home and a visit by Jim Sayer, executive director of the Adventure Cycling Association which celebrates its 40th anniversary this year. 617-599-8509, www.ciclismoclassico.com/filmfest. Ready to take off on your own two-wheeled adventure? Seattle-based Bicycle Adventures has added 12 new tours this year, including a trip through Chile’s Lake District, and new US rails-to-trails tours along car-free bike paths. The 10-day tour of Chile’s southern Lake District takes riders by lush farmland, clear lakes, and snowcapped volcanoes (rates start at $4,946), while the new 7-day tour on Missouri’s Katy Trail covers 240 miles on the longest rails-to-trails system in the United States ($3,124 and up). Or venture to the Pacific Northwest for the 5-day Mountains to Sound Bike Tour, which takes you from Seattle’s waterfront to local vineyards and within eyeshot of the area’s volcanoes ($2,760 and up). 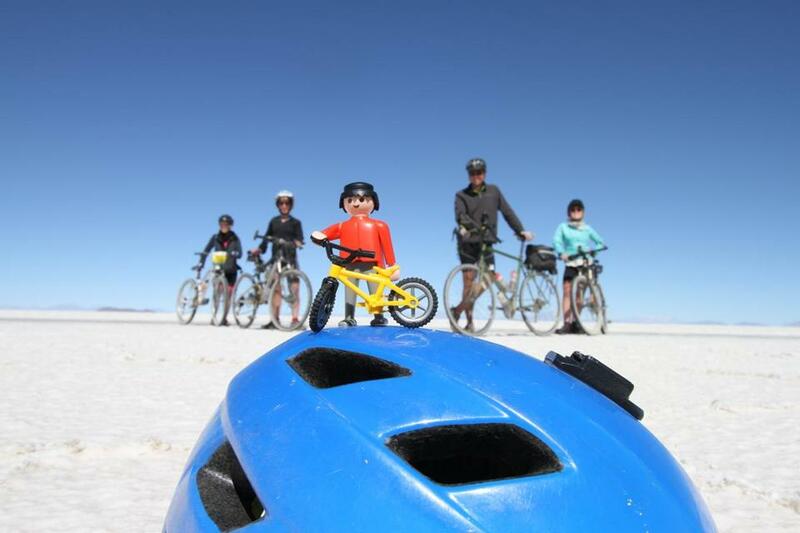 Tours include guides, four- and five-star lodging, and meals, bikes, and full van support. 800-443-6060, www.bicycleadventures.com. The iconic Pontchartrain Hotel, built in New Orleans in the 1920s, has undergone a revitalization project by AJ Capital Partners that will bring a fresh look and new dining options while maintaining the property’s historic design features and charm. The luxury hotel, located in the Garden District, reopens in June. Visit the Caribbean Room, an renowned restaurant where tropical motifs and rattan furniture blend with the old-time murals, the Bayou Bar with its tavern-like feel, and the Silver Whistle Cafe. The new rooftop bar looks like a 1940s artist’s loft — appropriate since Tennessee Williams penned “A Streetcar Named Desire” while living here — and will reward visitors with 270-degree views of the Mississippi River and downtown New Orleans. Room rates start at $179. 800-708-6652, www.thepontchartrainhotel.com. Taking your bike on a trip can be nerve-wracking, but Thule’s RoundTrip Pro protects your precious cargo and offers handy features to boot. The collapsible and easy-to-store bike bag has rigid, foldable panels that open up and slip into sleeves on each side of the bag, helping to protect your bike in transit. Attach your front fork to the integrated stand (it comes with adaptors for 15mm and 20mm through-axles) and strap the bike frame into place around the bottom bracket area. That travel base quickly turns into a bike stand, making it much easier for you to reassemble and then disassemble your bike at your destination. The poles for the stand store on the inner sides of the casee. The 19-pound carrier holds road, mountain, or cyclocross bikes with a wheelbase up to 46 inches, and can swallow a lot of extra gear and gadgets. $599.95. 800-238-2388, www.thule.com. With ASAP Connect, you can connect and disconnect your micro USB and Apple Lightning devices with one hand in an instant without damaging your device or cord — perfect for when you’re traveling. This clever USB charging cable has a two-part connector: One piece inserts into the charging port of your Apple or Android device and stays there, while a companion piece on the end of the charging cable attaches to this via magnets. Thanks to this magnetic technology, you can grab your device and go without damaging the cable or port when you yank. Reversible charging tips let you connect on the first try (the USB end is also reversible), and a light on the cable end helps you connect in the dark. The nylon braided charging cable measures 4 feet long. $21. Available in July. www.chargeasap.com.